If you’ve ever dreamed of having your own shop, it’s a dream that might be closer than you think. With today’s technology, it’s easier than ever to set up an online store and sell things online. And that’s what we’re here for. 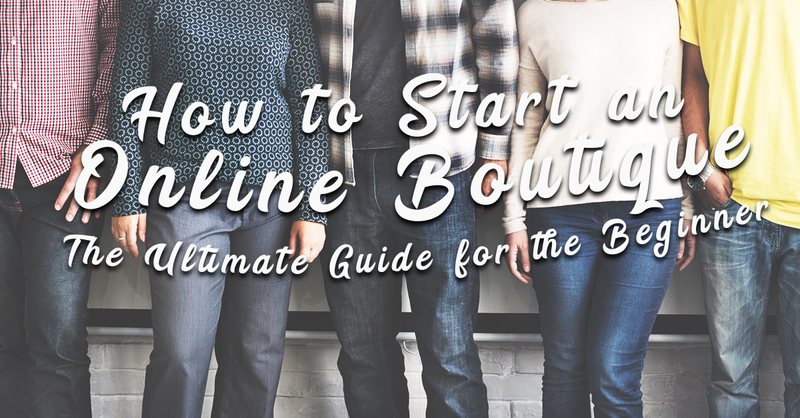 Our ultimate guide on how to start an online boutique will help you get started with your own online store. If you have a passion for fashion or just creative, you might want to step up your career by selling your own clothing designs, jewelry, or crafts online. 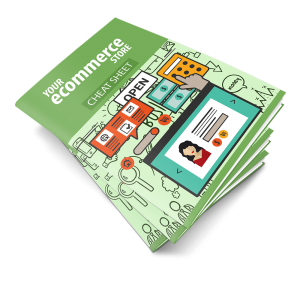 As the e-commerce industry continues to evolve, building and launching an online shop is becoming the way to go. People are busier than before, but it’s undeniable that a lot of time is spent browsing the internet. Gone are the days of physically visiting shops for a shopping spree. Now people just go online, browse through the digital catalogs, and ‘Add things to cart”. And all that from the convenience of their smart devices! 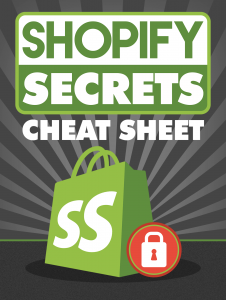 While it’s now trendy and easy to set up an online shop, there are still things to avoid and things that will save you time and money. That’s why we’re here. We will guide you through the process with this step by step guide to setting up an online store. Let’s get started! Before anything else, it is very important for you to be prepared. 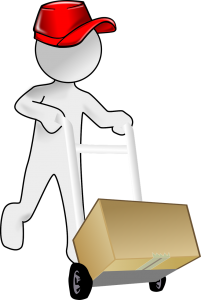 Decide and choose what types of goods you will sell online. It may be a clothing of your own design, crafts, or jewelry. Whatever you choose, make sure that you have a passion for it. This is because you will be working with these products on a daily basis. You’ll need to make sure that it is something that excites you and not something you will view as a tedious chore. If you decided to choose an online shop for clothes, then it is important for you to consider the type of clothes you want to sell. It could be back to school clothes for grade school or middle school students, baby clothing for soon-to-be moms, or even sports clothing or attire for gym goers. Knowing your target audience also plays a vital part in the overall success of your business. This is because it will help your clients find the types of clothes they are looking for and help you determine how you will advertise it to them. The jewelry industry is continuously booming over the past few years. In the past, brands advertised their products through TV commercials, national publications, or magazine – which required a large advertising budget. Today, to build your jewelry brand, all you’ll need is an Instagram account and an online store to advertise your necklaces and earrings to your customers. If you decide to go for an online craft store, you should take measure of your talent and skill. You obviously can’t create woodworking crafts if you are proficient at knitting. It is also important to constantly evolve and develop when you are in a business, so you need to keep up with the latest trends and sharpen your skills in making crafts you are passionate about. One biggest issue which every brand new e-commerce entrepreneurs are that they don’t have the knowledge on how to step up their game and learn how to differentiate their business from the competition. You’ll want a name that can be easily spelled and remembered. Your logo should also be unique and defining from first glance. Don’t get stuck down the rabbit hole though. Spending too much time on a business or brand name and logo design are just the first steps to branding. A huge part of your online business’s success depends on how you make your customer feel about the products and services you are offering as well as their experience while shopping at your store – not on your brand name or logo. As an online entrepreneur, you need to stand out among your competitors in order to avoid failure and potential loss of finances when it comes to running a successful e-commerce business in the long term – but how, you ask? Here are some tips on how to establish a brand online that will achieve people’s trust and will help you build a solid foundation for your competitions. Content is king – when it comes to building your brand’s identity, it is important to learn and practice the content-first strategy in your marketing tactics. In an online shop especially, you need be passionate about the products you sell and build it with eye-catching, interesting, and customer engaging content. Nowadays, most online shops put focus on a single specific product. This is why in order to make your brand resonate with your customer, you need not only to display quality content but you also need to go beyond and above to educate your potential client about the products and services that you’re offering. For example, if you decide to build an online craft store, adding free tutorials or how-to videos and blogs is an ideal way. You’ll want to keep their interest piqued and their passion for whatever you’re selling to remain strong, so feed their interests with some knowledge that you can share. In the long run, you will eventually make a decent profit. But selling the same products as your competitors will never get your businessto the top on the top of them. You should always have a long-term goal of selling unique products in order to gear you up to a price war in the future. With creativity, you can invent your own products (crafting) or add value to already existing products. One of the most important factors that influences both traditional and online business’s success is customer service. Depending on the type of customer (more on that later), you will need to show them that you care and value their purchasing decision in order to gain their trust and build their loyalty to your business. Try to be the most comprehensive seller based on your chosen niche even if you decide to sell non-unique products. Keep in mind that customers are more likely to buy from an online shop which has everything that they’re looking for. Create a cohesive theme but don’t choose more than a few categories to focus your boutique on. Stepping up your competition is solely up to you, so make sure that you find the best possible way to stand out from your competition and you have a unique value proposition for your online business. Most beginners want to try to appeal to as many people as possible. This is a mistake. When you try to please everyone, you end up pleasing no one. 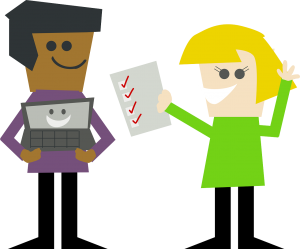 The social shopper is a knowledgeable shopper, they know everything and share everything to shopping forums, product reviews sites, and comparison websites. They are the customers who rate online shops on Facebook regularly. They investigate every item’s flaws and are very passionate about writing reviews and leaving commentary or feedback on the shop’s website or social media platforms. How to turn them into a buyer? 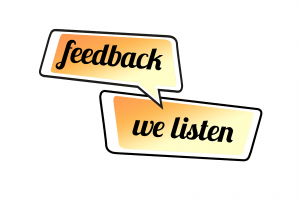 Wisely engage yourself in social media and allow an option to share feedback and review in order to gain and value their opinions. As the name implies, these customers always need everything ASAP. They are commonly involved in rush shopping and are most interested in a speedy checkout process as well as fast reliable delivery – time for them is important and is their first priority. They would expect regular notifications about the status of their order and once they get everything on time, they can turn into a regular buyer. How to turn them into a buyer? By simply offering a speedy 24 hours delivery service. Provide them with a reliable and quick customer service. They could be also called discount hunters. This type of customer primarily seeks ways on how to save money online with the use of discount codes or by participating in rush sales. 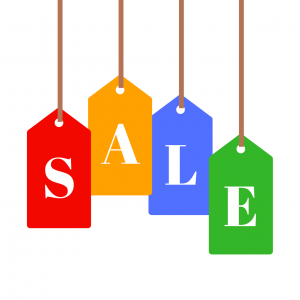 They commonly search for a discount coupon on the product they want to purchase through different sources such as social media platforms of the shop, newsletters, forums, or deal websites. Obtaining discounts is very important to them as they will expect an opportunity to save. How to turn them into a buyer? Offer discounts or special promo codes and host sale events that are dedicated to loyal customers. In this way, it will increase the number of your regular clients which will eventually translate into higher profits. They are the “try-it-on-and-see-if-it-fits” type of customers. They typically browse online shops for hours, admire new arrivals and latest collection and adds them to their basket until the list grows longer but in the end, they could be quite reluctant to enter the next shopping stage to check out and eventually leaves the basket. How to turn them into a buyer? Offering an incentive will work just fine. You can also send them notifications that there’s a discount coupon left in their basket. These customers tend to make a spontaneous purchasing decision. They typically have an experience in online shopping and have the knowledge about the shop’s terms and conditions and the return policy. 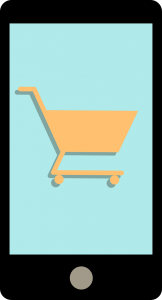 The problem is that the majority of impulsively purchased products are returned back to the store – they buy a lot, return a lot. How to turn them into a buyer? Unfortunately, you cannot change their buying behavior, so the best thing to do is to accept the returned products with a smile. Remember that these kind of shoppers are not that mean or bad – they’re just having trouble with what they are really looking for. In every business, you can’t really acquire a single ideal customer. As mentioned before, they are unique and must be approached differently, at the end of the day – A customer is a customer. 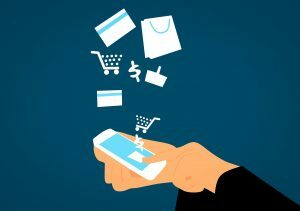 Choosing the right e-commerce platform for an online store depending on your level of expertise and budget plays an important role on optimizing your brand’s reach. It also enables you more success by adding an extra level on your business marketing strategies. Here are some of the most popular e-commerce solution provider that you could choose when building an online boutique. For online fashion shops, one of the most popular e-commerce solution providers is Shopify. The company has impressively grown and now hosts thousands of online stores. A Shopify store is an ideal solution for those who don’t have any technical knowledge of how to start an online boutique. This is because it is very easy to use and it requires little to no knowledge of coding but with enough functionality. While this e-commerce platform doesn’t charge any upfront development fees, the users will have to pay $29 to $179 for a monthly fee. Additionally, the subscribers don’t really have much choice beyond the basic template designs and content alterations. So, it is certainly not for all e-commerce owners as it doesn’t offer robust customization options. Bigcommerce is launched in 2009 and hosts a high number of stores online as of today. It is also one of the leading e-commerce software providers as it also a perfect choice for those who have little to no technical knowledge of how to start an online boutique. Bigcommerce offers an extensive built-in feature that includes shipping, tax, analytics, coupons, newsletters, and so much more. The good thing about this e-commerce solution provider is that it doesn’t charge any transaction fee although other themes and options require payment. It also supports setup wizard, extensive guides with visual representations, and educational videos as well. One of the growing e-commerce platform providers for the online shop is Etsy. It features an extensive array of vintage, handmade, and crafted goods around the globe, therefore, this is an ideal option if you choose to sell your own crafts online. If you’re an artist and passionate about making crafts and wanting to make money online, then Etsy is the best choice for you. Your business’s domain name or URL is going to be the pathway for your customer to reach your online shop. The keywords and domain extension should not technically matter, but because of the SEO (search engine optimization) benefits, it is worth taking into account. So what are the steps that you can take to come up with a good domain name that will boost your website’s SEO rank? Here’s how. When choosing a good domain name, you should avoid using too many words as possible. It is better to make it short but clever and easy to remember as well as making it relevant to your business or brand name. For example, if your business is operating in New York City, you can try and set the domain name to include ‘NYC’ to make more personalized and specific. If you have the budget, buying premium domain names is also one way to go. Typically it costs anywhere from $200 – $200,000 but it is based on what your business requires. The main advantage of pre-purchasing domains is they are incorporated with age. Your domain must not contain any symbols like @, $, or # and it needs to be at least 2 characters long. In some cases, Re-buying the domain is an ideal option for people who want to use the domain for their personal blog or even online shop. You can settle this by talking to the domain owner and making a deal with them. In some cases, domains which are expiring or expired can be bought anew. The domain name for your online store is a one time thing which will require a bit of patience during the time of searching and purchasing. In Etsy, they offer handcrafted soaps and other crafts that would be perfect if you’re deciding to do an online craft shop. You can do a consignment to sell some of their crafts in your store and some of yours can be sold in theirs. While you’re shopping at the traditional store and see a product that interests you, you should ask makers if they would be interested in selling their products wholesale to you. Most manufacturers overseas often use e-commerce sites like eBay to sell goods at wholesale prices. Searching for items at nearly wholesale prices could turn up to several results that will allow you to get the items you want to advertise and sell in your online shop from just about anywhere. Directories: Depending on the products you are advertising in your online boutique, you can find : wholesale suppliers through different online directories which contain profiles of hundreds or even thousands of wholesalers, manufacturers, and suppliers. Local library: You may also want to consider heading to your local library for finding the best wholesale suppliers for your online shop. Referrals: The best leads can come from the referrals by your family or friends. Reach out on your social networks because they could have great contacts for your online shop sourcing. Choosing a supply distribution model is fundamental to the success of your online boutique or shop. Here is a detailed analysis of two major distribution models the traditional inventory and drop shipping. In this distribution model, the retailer markets products collect the transaction and product fees from the customer, and eventually orders the item from any external wholesalers or suppliers. The supplier will then ships the item directly to the customer. 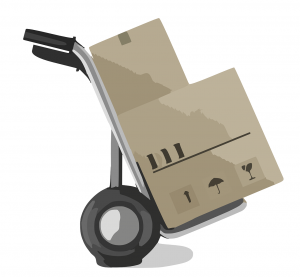 The drop shipping model is best for online retailers who typically seek a broader range of products that do not necessarily need to have a large investment in inventory. However, choosing this type of model can also cause disadvantages such as high initial investment, high capital risks from excess inventory, and any other inventory-associated risks. One tip is to seek an advice from an accountant before starting your online boutique or store. ● Quality and customer-engaging content can lead to direct sales. ● A website optimized for mobile viewing will be helpful. ● Offer your customer comprehensive options such as discounts, deals, and/or free trials. ● The power of social media marketing will promote real interaction with your potential customers or prospects. ● Learn and practice SEO or search engine optimization. ● Donate products for reviews and create an affiliate network to grow your online business. Starting an online boutique or store will require a lot of time, money, and effort. However, having the proper knowledge about the market behavior, choosing the best niches, catching up with the latest marketing strategies, and being passionate about the products you are selling online will surely give your online shop great success in the long run.